Frédéric Vallier is secretary-general of the Council of European Municipalities and Regions (CEMR). President Juncker will probably make his last State of the European Union speech on 12 September. Everyone will keep in mind the words he said four years ago following the vote on the “last chance Commission”, as he described it. Unfortunately, the expectations raised then were seriously undermined by the many crises we have faced. This is not only the fault of the Commission president and his Commissioners but rather that of all European leaders who struggled to find common answers to the multiple issues we have endured. The refugee crisis alone illustrates how difficult it was for EU member states to come up with shared solutions. The outrageous spectacle of these boats unable to dock remains the symbol of a situation that divides European countries. Yet, municipalities alongside local associations and citizens are getting organised to meet refugees’ needs. They have shown that it is possible to welcome with dignity those who risk their lives to escape from warzones and terror. In August, Greece exited the three-year EU bailout plan. However, the odyssey it has gone through leaves its citizens in a social and political situation which is unbearable for many of them. Here too, local government support is crucial to avoid chaos and social disintegration. It is worth recalling that Greek municipalities’ debt is lower than in the rest of Europe, according to a study published by CEMR. Although their powers are very limited, Greek mayors face challenges with dignity and with so little resources. It is almost as if they were volunteers. The challenge of climate change showed itself this summer with new aggression – wildfires, extreme heat and floods – while greenhouse gas emissions continue to grow. It now seems impossible to achieve the goals set for 2020. Yet again, towns and regions are leading the way by restricting road traffic, investing in energy renovation of public buildings or by joining the Covenant of Mayors for Climate and Energy. There is no magic spell to win the climate change battle; we only need to act together. And what about the return of “isms” in European countries: populism, nationalism, extremism, or even neo-fascism are accepted by a large number of people. The hope raised by the current Commission could become a nightmare if all these intolerant trends become a majority in the European Parliament next May. In this context, what should President Juncker do to meet his challenge of getting Europe moving towards a positive future for all? Hope lies in Europe’s towns and regions! It is worth recalling that Europe’s municipalities and regions have always been at the forefront of European integration. Since the aftermath of World War II, towns and cities have made people come closer together. They did so first through town twinning, and then through cooperation programmes with the EU’s financial support, such as regional policy. This is why we believe that by cutting cohesion policy by 7%, the Commission is seriously letting down Europe’s towns and regions. Today, as in the past, local and regional elected leaders are ready to mobilise with those who believe in strong European values and support an ambitious European project. A project based on the principle of solidarity that looks into the future and finds solutions for problems that affect people’s everyday lives. During his mandate, the role of towns, cities and regions has been recognised through various initiatives: the urban agenda or the taskforce on subsidiarity that calls for better collaboration with the local level in EU decision-making. 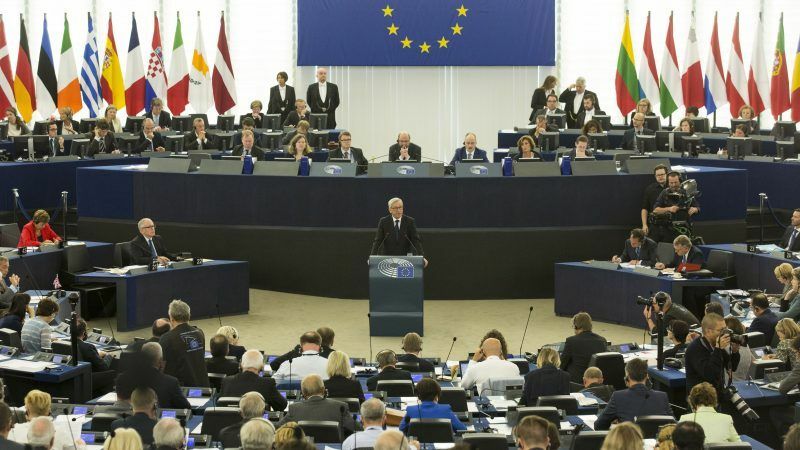 The European Parliament has also called for greater involvement of local governments and their representative associations in the European decision-making process. His mandate is not finished yet. We still have a few months ahead of us to build up a vision for the future, together with local governments, states and EU institutions. We still have time to pave the way for a redefinition of roles in EU governance to ensure that Europe does not only work through the prism of nation states any longer. As EU treaties state, EU governance must involve representatives of towns and regions. They are, by nature, pragmatic, far from the dominant populist trend. They put in place policies that serve their citizens and enjoy a greater popularity than other elected representatives. We regret that despite several requests Juncker has refused to address mayors and local and regional elected representatives. And we are afraid that his speech on 12 September won’t be enough to give the powerful push that Europe needs to reinvent itself. But it is not too late. This year will also be the year of renewal, so why doesn’t President Juncker organise a major conference under the auspices of the Commission to celebrate local and regional elected representatives’ commitment, and continue to mobilise them to relaunch the European project?